Our Religious Founders: Forgotten or Intentionally Neglected? 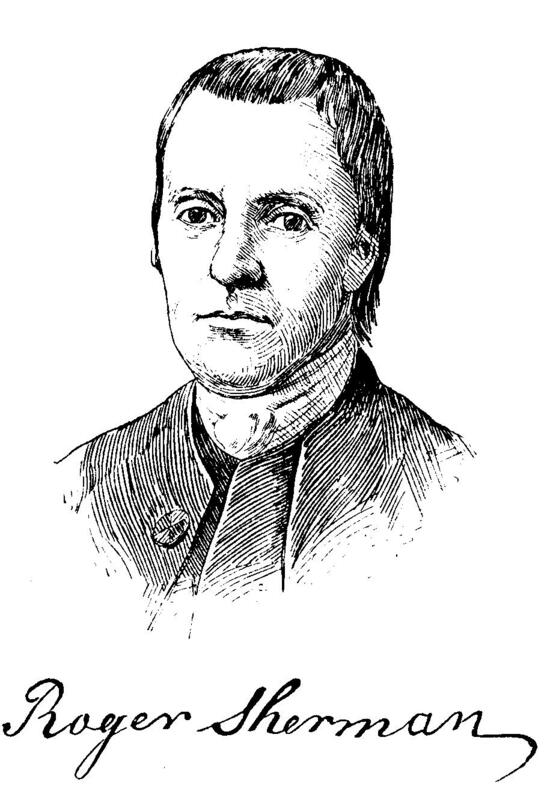 Consider the political career of Roger Sherman of Connecticut (1721-1793), a largely self-taught man, devout Calvinist, and lifelong public servant. He was one of only two men who signed all three of the great documents of American organic law: the Declaration of Independence, the Articles of Confederation, and the Constitution. He was a delegate to the First and Second Continental Congresses. He was a member of the five-man committee formed to draft the Declaration of Independence and a member of the committee of thirteen formed to frame the Articles of Confederation. At the federal Constitutional Convention of 1787 he delivered more speeches than all but three delegates and was a driving force behind the Great (Connecticut) Compromise. He was a member of the first U.S. House of Representatives (1789-1791) and later of the U.S. Senate (1791-1793), where he played key roles in deliberations on the Bill of Rights and the creation of a national bank. If any man merits the mantle of “founding father,” surely it is Roger Sherman. Yet few Americans recall, let alone mention, Sherman’s name when enumerating the founding fathers; even among those familiar with his name, most would be hard pressed to describe his role in the founding. Why is it that a man of such prodigious contributions to our country is today an all but forgotten figure? The same question could be asked about many other patriots— John Dickinson, Elbridge Gerry, John Jay, Richard Henry Lee, George Mason, Gouverneur Morris, Charles Pinckney, Benjamin Rush, John Rutledge, James Wilson, and John Witherspoon, just to name a few—who labored diligently to establish an independent American republic. When asked to identify the “founding fathers,” Americans typically respond with a short list of a half dozen or so notables who have achieved iconic status in the American imagination and collective memory. This is true of even serious students of American history. The small fraternity of “famous founders” typically includes (in no particular order) Benjamin Franklin, George Washington, John Adams, Thomas Jefferson, James Madison, and Alexander Hamilton. To this short list, individual historians occasionally add a favorite figure or two. There is, however, a much larger company of statesmen who made salient contributions in thought, word, and deed to the construction of America’s republican institutions. Unfortunately, many among the founding generation, whose contributions and sacrifices were consequential in the creation of a new nation, have slipped into unmerited obscurity, exiles from the elite fraternity of the famous. Why are some individuals, whose well-documented contributions were valued by their peers and celebrated in their time, largely forgotten in our time? Why are a few founders “famous” and others now “forgotten”? Separating the famous from the now forgotten founders may erroneously convey the notion that the founders were a much more single-minded, monolithic fraternity than they really were. Our understanding of the delicate balance of personalities, perspectives, and experiences so vital to the success of the founding generation is obscured when we train our sights on a select few famous founders and disregard the rest. As previously noted, for example, the most orthodox Christians among the founders (Samuel Adams, Elias Boudinot, Oliver Ellsworth, Patrick Henry, John Jay, Roger Sherman, and John Witherspoon) are rarely counted among the company of famous founders, despite their substantial contributions to the new nation, suggesting, perhaps, that the founders (and, more important, their ideas) were more heterodox than they really were. The contributions of traditional Christian thought to the American founding are, in large measure, diminished in the process. These distortions, unfortunately, are sometimes translated into modern law and policy. Judicial interpretations of the First Amendment illustrate the potential problems. The U.S. Supreme Court’s near exclusive reliance on the views of Thomas Jefferson and James Madison, two purported advocates of church-state separation, to divine the original understanding of the First Amendment, while ignoring the input of others who, in the deliberative process, championed an essential role for religion in public life, has arguably resulted in a distorted construction of the First Amendment. Steven K. Green: "God is not on our side: The religious right’s big lie about the founding of America"
It is too bad that too many people apparently accessed the article for free and the publisher shut down access. If you could actually read the article, you would see the answers to all -- or at least almost all -- of your questions/criticisms. I address the Romans 13 issue -- but not in a caricatured fashion as in Mark's hypothetical. Incidentally, my view of Romans 13 is identical to that of Calvin -- though not to that of some CalvinISTS. I address the so-called "lesser magistrate" issue and I deal specifically and at length with Wilson's argument in "Considerations." A major problem that some have -- including Eric Patterson in his article -- is that they automatically assume that everything that the colonists (inc. Wilson) said was TRUE. If that's the case, then, yes (tautologically), it would be foolish to take another position. But not everything they said was in fact true. I am not blissfully ignorant of English law. Those who make the argument that the law was the highest authority (or that the Constitution is the highest authority in the US today) are, of course, correct. But what does that mean practically? "The law" (or "the Constitution" -- as we've seen in the last two days) is not self-interpreting. Someone has to interpret and apply the law in order to make the rubber meet the road. The issue is: who has authority to do that? Those who claim that authority for themselves are antinomian and make themselves the law. In Romans 13, God gave authority to PEOPLE -- to agents of His; in the language of Romans 13: to "ministers of God" and "servants of God." In the Old Testament, to "shepherds" and "anointed" and "My servant." As Calvin rightly says: "even if the punishment of unbridled tyranny is the Lord's vengeance, we are not to imagine that it is we ourselves who have been called upon to inflict it. All that has been assigned to us is to obey and suffer." Calvin also said: "if you go on to infer that only just governments are to be repaid by obedience, your reasoning is stupid." Former Federal Reserve Head Ben Bernanke Defends Alexander Hamilton - and He's Right! Ben Bernanke, the former head of the Federal Reserve Board, has come to the defense of Alexander Hamilton after an atrocious announcement from President Obama's Treasury Secretary that our nation's first Treasury Secretary would be pushed to the side by a woman. As most of you know, Jack Lew, Hamilton's current successor as Treasury Secretary, announced that a woman would grace the new $10 bill. Bernanke is "appalled" - and he's not alone. I applaud the U.S. government's desire to put a woman on our currency. That is long overdue. But to dump the first Treasury Secretary and one of our most preeminent Founding Fathers is outrageous. Were it not for Alexander Hamilton, we might not even have currency today. We might not even have a working economy today. It's because of Hamilton that we can even have this discussion. And for a modern-day Treasury Secretary to want him shoved aside displays a brazen lack of gratitude and a complete detachment from America's history. Take a few moments to write the President, the Treasury Secretary, and your Member of Congress to express your support for Alexander Hamilton. As for putting a woman on the currency, I agree 100% with Bernanke's suggestion: Dump Andrew "Trail of Tears" Jackson. Leave Hamilton where he is. In light of the murderous anti-black hatred perpetrated at the Emanuel African Methodist Episcopal Church in Charleston, SC, it is important to acknowledge the vital role of the AME Church in the religious founding of the United States of America, and its heritage as a bastion of human rights. Two of the most revolutionary outcomes during the thirty years following the American Revolution were: 1) the disestablishment of state churches (except in MA, CT and NH), facilitating the “free exercise” of religion; and 2) the much too gradual abolition of slavery in all the states north of MD, creating new free black communities (e.g., “Philadelphia’s free black population grew from about 240 in 1780 to 1,849 in 1790, over 6,000 in 1800, and 8,942 by 1810; an increase from 2.1% of the total population in 1780 to 10% by 1810”). The result was unprecedented religious pluralism, marred by embedded racism. As noted here and here, “the independent black churches were the most important of the free blacks’ creations, destined to be a center of African American community life to this day. The churches fostered a communal Christianity of freedom, nurtured a variety of self-improvement organizations and promoted racial pride—they were ’African’ churches.” Whenever we talk about “founders,” we should acknowledge Richard Allen (1760–1831) and Absalom Jones (1746–1818) “as founding fathers of the free black community of Philadelphia. Both were born slaves who worked to purchase their freedom.” In 1816, Allen led the formation of the first organized black denomination in the United States, the African Methodist Episcopal (A. M. E.) Church. As Yolanda Pierce, an associate professor of African American Religion at Princeton Theological Seminary, points out, “The African American church, itself born out of a protest movement, is a symbol to African American community and culture.” It is crucial to remember that as Allen noted in his autobiography, these churches “bore much persecution” and “spiritual despotism” from those individuals and groups (Including white churches) that sought to deny the free exercise of religion to African Americans. Note: In fn 1 of the Allen Autobiography segment, Dr. Benjamin Rush is correctly labeled as an abolitionist, but is misidentified as a Quaker instead of a Universalist. Ben Franklin on the Quakers & Lack of Need For Govt. Support of Religion, Etc. The relationship of the Quakers & the American Founding is fascinating. On the one hand, one might conclude the Founders had a strong dislike for them because of their refusal to take up arms. But they didn't. Hey, many of the most important Founders were Anglicans whose "sect" officially stood for the very propositions against which they rebelled. Irony abounds in the study of religion and the American Founding. If Christian Preachers had continued to teach as Christ and his Apostles did, without Salaries, and as the Quakers now do, I imagine Tests would never have existed; for I think they were invented, not so much to secure Religion itself, as the Emoluments of it. When a Religion is good, I conceive that it will support itself; and, when it cannot support itself, and God does not take care to support, so that its Professors are oblig'd to call for the help of the Civil Power, it is a sign, I apprehend, of its being a bad one. Note Franklin's letter (October 9, 1780) was to the Arian Richard Price, who because of his Arianism would have flunked those religious tests the two of them complained about. Insofar as I understand the relationship of "Quaker doctrine" to the Trinity, their official doctrine is there is no doctrine. Quakers of that time tended to believe in the Trinity but had no internal "confession" for it because they had no creeds. If the Spirit instructed the believer the Trinity existed, that was sufficient. If not, that was okay as well. The individual believer, exercising his privilege as a Priest would decide for himself. Fea: "The Author's Corner with Steven K. Green"
JF: In two sentences, what is the argument of Inventing a Christian America? SG: I argue that idea of the nation's Christian founding is essentially a national identity myth, constructed by the generations immediately following the constitutional era in an effort to sanctify the founding and give meaning to their hopes and aspirations for the nation's future. As a result, we need to understand the purposeful origins and limitations of the idea of the nation's Christian origins. New Post at "Ordinary Times"
Frazer on whether the American Revolution was a "Just War"
The most famous and fateful example of this pattern concerned the Tea Act and the colonial response to it. After complaints from the colonists, Parliament withdrew most of the Townshend Acts – except for a 1.7 per cent tax on tea. The Tea Act, which gave the British East India Company tariff breaks, actually lowered the cost of tea for Americans despite the remaining tax. The primary target of the Tea Act was Ireland, not the American colonies, but the only subjects who responded violently were the Americans. The so-called Sons of Liberty used threats and violence to prevent Bostonians from making their own choice of whether to buy tea at a cheaper price. Due to their threats, few dared to accept the tea and many ships were turned away without unloading. In Boston, the governor’s sons agreed to take consignment of the tea, but the Sons of Liberty made sure that the dock workers would not unload the cargoes. Without legal authority, they then threatened the ship captains to get them to leave or at least not pay the duty required; but if the duty were not paid, the governor would not allow the ships to leave and customs officials could eventually seize the cargo. The end result would be that the tea would enter Boston’s market and Bostonians would have the choice of buying the cheaper tea. Rather than allow Bostonians that choice, the Sons of Liberty dumped 342 chests of tea into Boston harbor, destroying £8000 to £18,000 worth of tea. In today’s currency, the value of the tea would be $2 – 4 million. The Boston Tea Party was much more than a simple prank (Harvey 2002 : 113). Benjamin Franklin, America’s friends in Parliament and the American public were shocked by this vandalism, but Boston refused to punish the perpetrators or to pay for the destroyed property. Colonial authorities had previously refused to punish other lesser- known incidents of violence and vandalism, such as the Gaspee incident in which a ship's captain was shot and a law-enforcement ship burned by the Sons of Liberty without consequence. Repeated acts of this kind forced the British to pass tougher laws and take greater control. After the so-called Tea ‘Party’, the British government had to decide between reasserting its authority or losing Massachusetts. As a result, a series of punitive laws called the Coercive Acts (which the colonists called the ‘Intolerable Acts’) were passed. That punishment for lawlessness produced greater cries of ‘tyranny’. Again, one should think of what would happen if such acts were committed today in the US. Would the governing authorities just look the other way or dismiss it as a ‘party’? If punishing acts of violence and vandalism is a normal, reasonable function of government, then the Americans’ just cause claims must be questioned. That just scratches the surface. Read the whole thing. The more we spend on the poor, the harder it seems for them to attain decent, productive lives in loving families. The federal government has spent $22 trillion on anti-poverty programs since the beginning of the War on Poverty in 1965, but the poverty rate is nearly the same today as in 1969, fluctuating between roughly 11 and 15 percent over that time period. As I argue in a new essay on “Poverty and Welfare in the American Founding,” these results are bound to continue unless we rethink welfare policy from the perspective of our Founders. Neither the contemporary left nor right in America properly understands their approach. The left often claims the Founders were indifferent to the poor—suggesting that New Deal America ended callousness and indifference. Indeed, high school and college textbooks frequently espouse this narrative. Many on the right think the Founders advocated only for charitable donations as the means of poverty relief. Neither is correct. America always has had laws providing for the poor. The real difference between the Founders’ welfare policies and today’s is over how, not whether, government should help those in need. Thomas Jefferson and Benjamin Franklin believed government has an obligation to help the poor. Both thought welfare policies should support children, the disabled, widows and others who could not work. But any aid policy, they insisted, would include work-requirements for the able-bodied. Steven K. Green from Willamette University College of Law has written what could be the next notable book in the "Christian Nation" debate. It's entitled "Inventing a Christian America: The Myth of the Religious Founding" and is published by Oxford University Press (2015).